If you need a Koh Phi Phi Hotel and want a good selection you will probably find what you need at phi-phi.com. Having worked on the island since 1989 the business partners know all about all the hotels. Whereas some online booking agencies focus on the headline accommodation, phi-phi.com gives you more choice around the same idea. The main location for a Koh Phi Phi Hotel is Koh Phi Phi Don island and especially Koh Phi Phi Don Village. Resorts like the Phi Phi Island Cabana Hotel dominate the heavenly double bay of Tonsai and Loh Dalum and the 3 storey Phi Phi Hotel has similar views out on to Tonsai. Many of the Koh Phi Phi Hotels have resort facilities and are beachfront so that all this accommodation on Tonsai Bay or Long Beach revel in exceptional views of the Tonsai Cliffs and Koh Phi Phi Ley, the island where they shot the Movie 'The Beach'. The only 5 star hotel on Koh Phi Phi is the Zeavola Phi Phi Resort in the far north of the island on Laem Tong beach. The Zeavola Phi Phi Resort delights in a charming setting of villas and pavilions and has all the dining, spa treatments and 5 star activities you would anticipate. It also enjoys breath-taking views of the Krabi coastline and the remote islands of Mosquito and Bamboo. The reviews of the Zeavola Phi Phi Resort are quite excellent and it is very rare for anyone to feel let down. Image is the 5 star Zeavola Phi Phi Resort. Other luxury Koh Phi Phi Hotels are the 4 star Holiday Inn Phi Phi Island and Phi Phi Island Village Resort And Spa. These too are up on the quieter north eastern quarter of Koh Phi Phi Don and share similar views to the Zeavola Phi Phi Resort. 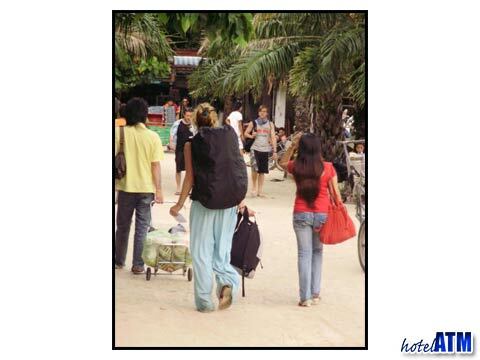 Budget Koh Phi Phi Hotel or hostels cover large areas of the Koh Phi Phi Town by the pier. Generally they are not beachfront but they are much more affordable. These hotels help populate the buzzing and exciting village atmosphere with all it's cafes, restaurants and bars. Accommodation rates can be surprisingly low, especially in July and August when many university students arrive and give a creative energy. 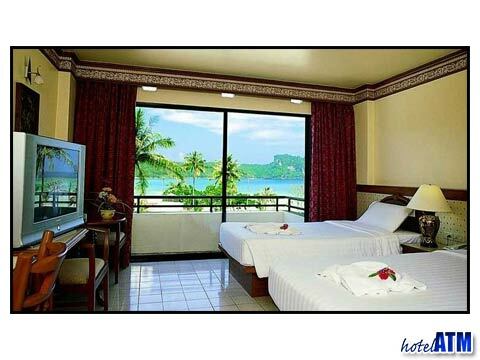 Popular Koh Phi Phi budget Hotels are JJ Residence and Ivory Phi Phi. For further ideas on cheap hotels search here. Koh Phi Phi Hotel deals are easily found and are particularly active from May till October during the low season. Those luxury hotels of Zeavola Phi Phi Resort, Holiday Inn Phi Phi Island, Phi Phi Island Village Resort And Spa, Phi Phi Island Cabana Hotel compete with each other to stay full during the low season month and so there is almost guaranteed at stay 4 nights pay 3 offer during this period. As a general rule and on top of any deals on offer, the months of May until October 31st have room rates that are between 15% and 40% less than November to the end of April. The monsoon passes through in June and September so that May, July August and October can have superb weather given the price of the rooms. The weather patterns are not fixed but it would be very rare to get a storm in this period.